Should I Buy a DC35 or DC59? 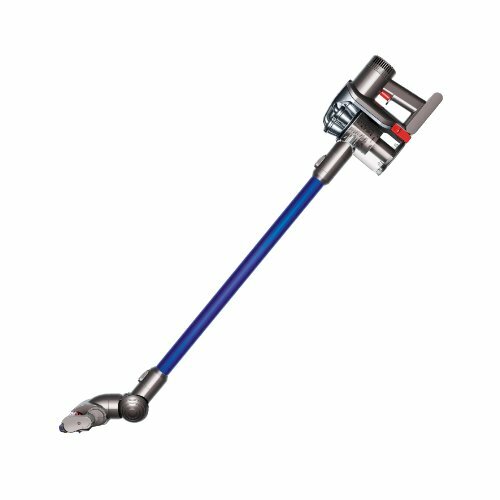 If you are unsure as to which Dyson stick vacuum -- the Digital Slim DC35 (Mark I) or DC59 (Mark III) -- offers you the best overall value and/or what exactly there differences are, then you have come to the right comparison guide. Highlighting both their similarities and variations across specifications & features to ultimately determine which is the right cleaning machine that suits your needs & preferences. Which Offers the Best Suction Cleaning Power? They both operate on a dual mode basis with a standard & boost option (which applies 70% more power for dug-in stains) -- where the DC35 provides: standard - 28 AW & boost - 60 AW, which is pretty powerful and certainly puts it in the upper range of the cordless stick vacuum market. However, the DC59 in contrast is more than three times as powerful as that of the DC35 (and is pretty much considered the most powerful cordless on the entire stick vacuum market) -- 'performing to a similar level to that of standard corded vacuum cleaner' -- with about just under 100 AW of constant suction on its boost mode option, which is a comparable cleaning performance to that of the Dyson DC24 upright model. This is due to major updates & advancements within three significant contributing aspects (as highlighted above): i) the difference in root cyclone technologies is a few generations between the DC35 & DC59 -- basically allowing the DC59 to have a much higher pick-up rate of dust & dirt particles (to as small as 0.5 microns) etc. ii) there have also been huge advances within the motor installed i.e the DC59 possesses a V6 whereas the DC35 has the very first V1 model -- hence the former has a much higher wattage power & efficiency. iii) Then there is also the battery installed -- the cobalt supplies the DC59 with 50% more power than the DC44 (Mark II) which was even more powerful than the DC35. Therefore, the DC59 is obviously 'by far' the more powerful cleaning machine. Which Offers the Best Cleaning Performance? The DC59 also has a far more advanced cleaner head than the DC35 -- where the DC44's (Mark II) cleaner head (which was the second generation) was claimed to be 100% more effective than the DC35 (1st gen) cleaner head. And now this is the 3rd Gen 'DC59' cleaner head which has been vastly improved on even that -- where it has been systematically engineered to be lighter & have a vastly improved pick-up rate. Achieved due to being fitted with a range of nylon bristles (to adapt to different flooring & debris particles e.g. ultra-fine anti-static for microscopic dust particles & thick for flicking out largee dirt that has been dug-in to carpets etc. ), a self-tighten mechanism (basically increases stablisation to consistently have the cleaner head make contact with the floored surface)a and a capture channel (which collects previous dust that would escape with the DC35 cleaner head). In all, the latest cleaner head on the DC59 is superior to the DC35 i.e it simply collects a whole lot more dirt & debris in just one pass of the cleaner head. Actually in this regard they are both incredibly similar -- with the DC59 being barely altered upon the DC35's original design. Where they share the same dimensions (height: 121 x width: 20.5 x depth: 21.6 cm) and are both similarly very lightweight -- weighing in at around just 2.25 kg. 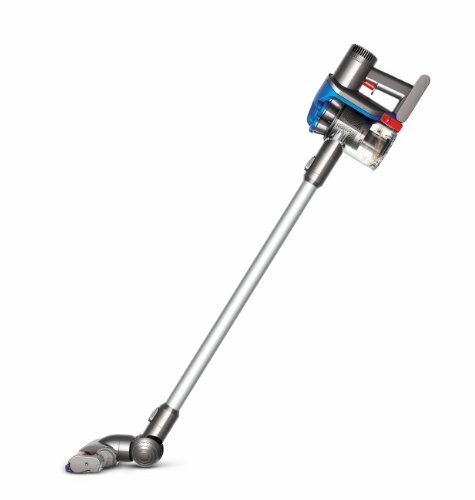 Moreover, the weighting is distributed mainly within the handle to enable the user further control & balance for cleaning both high (e.g. curtains & ceilings) & low -- along with it giving an added feel of lightness to the cleaning machine. Which Offers the Better Practical Features? DC35: Standard Mode - 15 minutes, Boost Mode - 6 minutes | Bin Capacity: 0.35 litres. DC59: Standard Mode - 26 minutes, Boost Mode - 6 minutes | Bin Capacity: 0.35 litres. The DC59 has been fitted with a unique trigger mechanism which basically only utilises the battery when the DC59 is actually cleaning -- this allows it on standard mode to have a run time of 11 minutes more than the DC35. However, a lot of aspects remain the same with regards to practical specifications -- where both still have the same bin capacity & simple release mechanism, operate on a bagless system and don't suffer with loss of suction -- they also take roughly the same time (3 hours) to charge from 'dead' to full power. They also come with the same accessories/attachments: the combination tool (which enables powered dusting essentially) and a stair tool (which can also be used for cleaning upholstery). Moreover, if you get the Animal versions (i.e the DC35 Animal or DC59 Animal) as opposed to the multi-floor version (i.e DC35 Multi-floor or DC59 Multi-floor) then you also get a specifically designed attachment: mini pet hair turbine -- that is solely intended for effective pick-up of pet hair. The DC59 also comes with a wall mounted docking station to allow for it to be stored away neatly (which can also hold two additional accessories). Both also share the great feature which gives the Digital Slims such a grave advatnage over most other Stick vacuums -- where they are essentially 2 in 1 vacuums -- because they have the ability to turn into handheld vacuums through simply removing the wand (the 66cm tube) & attaching the crevice tool to the handle and they become... a handheld vacuum. This allows you to undertake intricate cleaning jobs t -- such as vacuuming in the car etc. 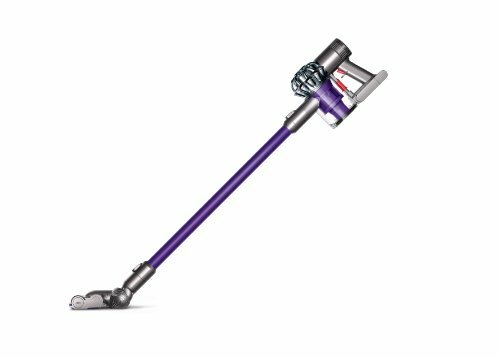 Note: The DC35 essentially becomes the Dyson DC34 handheld & the DC59 turns into the DC58, obviously the latter handheld being far more powerful -- which Dyson claim to be "three times more". When purchased new both the DC35 and DC59 come with a two year warranty that covers them for both parts & labour, so if any damage is incurred within that time -- you are able to have it fixed -- free of cost. Moreover, both are fitted with an integrated filtration system that captures & prevents allergens and dust from being expelled into the air & instead producing clean healthy air, hence both machines are safe to be used by asthmatics or allergy sufferers. Conclusion: Should You Buy a DC35 or DC59? Clearly, the DC59 is a vastly more powerful cleaning machine which in many regards can actually replace your standard vacuum, whereas the DC35 simply can't (as it doesn't have anywhere near the cleaning perfromance to match). However, with this the DC59 will be fair bit more expensive (about $150 more). This is hence where your preferences come in & whether the added benefits you get with the DC59 are worth it when compared to what the DC35 can offer you -- in my view: the DC59 is worth it, as the DC59 is practically a different cleaning machine -- granted they will operate in the same way -- but it will exhibit incredible cleaning standards for a cordless machine & is pretty much guaranteed to make your cleaning life much easier (like comparing a VW Golf to a modified Golf GTI, they look & feel very similar but operate have a grave difference in power). However, what is worth considering, if money is a concern & are leaning towards the DC35 --then I urge you to also consider the DC44 (especially a refurbished model), which although can be a little more expensive than the DC35 it certainly offers a better overall performance (better suction, longer run time etc. ), although still not in the same category as the DC59 -- I would argue you are getting a better deal & more value (probably the best value from the bunch, respective to price tags) than what the DC35 can offer. But, please do let me know which model you choose and why? Also, if you have any questions, comments or concerns regarding either the comparison account 'DC35 Vs DC59' or about either of the models specifically (i.e the Dyson DC35 Mark I or Dyson DC59 Mark III) then please do not hesitate to make them in the comments section that you will find just below & we will be sure to respond to you as soon as possible.